The fickleness of wind and other renewable energy sources means you need to store power as best you can when it is available, for future use when it is not available. This is the third part of a four-part article series about how to store electricity (better thought of as storing energy rather than electricity per se). If you arrived directly here from a link or search engine, you might wish to start from the first part of the series here, then read on sequentially through the balance of the series. Another interesting approach to storing electricity is by pumping water uphill. If you have a hill on your property and sufficient water, you can use surplus energy to pump water up to a large reservoir on the top of the hill, and then when you need electricity, you run the water down the hill and to a hydro-electric plant at the bottom. This can store energy for a longer term – the only storage loss being evaporation – but involves potentially massive amounts of water and as much vertical rise/fall as possible. If you double the height differential, you halve the amount of water you need, and vice versa. Although this might seem like an unusual and strange technology, 93% of all stored power, world-wide, is stored this way. To put the amount of water needed into perspective, if you wanted to store enough water to be able to generate 5kW for 100 hours – a good reserve for emergencies) you could either have an efficient diesel generator and about 50 gallons of diesel, or if you were able to store water somewhere 100 ft higher than ground level, you’d want to have about three million gallons of water in the reservoir. That is about 400,000 cu ft of water, so think of a pond measuring perhaps 200 ft by 200 ft and 10 ft deep. You’d also need another storage area at the bottom to hold the water prior to pumping it back uphill again. This is of course not impossible, assuming you have a way to get the vertical rise that is necessary, and a source of water to replenish losses from evaporation. The concept can be extended and slightly modified, indeed, it is merely an extension of the concept found on many cuckoo clocks, where a weight slowly descends, driving the clock mechanism, then is ‘rewound’ when you use energy to pull the weight back up again. Anything that uses gravity as a way of storing energy can work. There is a project currently being developed in California that uses rail boxcars loaded with heavy gravel. Electric locomotives use spare grid power to haul the boxcars up a length of steeply inclined track, and then when the electricity is needed to be returned to the grid, the boxcars are allowed to push the loco down the track, and the loco now acts as a generator feeding power back into the grid. Such a system can be 80% or more efficient, and will store energy indefinitely with no storage loss. The boxcar example requires more power to push the boxcars uphill than would be available from a typical private power source, but this could of course be modified (lighter boxcars and/or less steep grade). These types of systems can require a fair measure of space. In the water example, if the water reservoirs at top and bottom are ten feet deep, you need almost 2 acres of space just to store the water, plus more space for the pipes and generator/pump. But their biggest requirement is the height differential. If you’ve got a fully flat property, you’re either going to have to create a raised portion, which would involve a prohibitive amount of earth working, or else look for other alternatives, which presently tend to invariably circle back to batteries. Flywheel technology is becoming more practical, although still a technology that is equal parts experimental and/or not ideally suited for our applications. With a flywheel, spare electrical energy is used to spin up the flywheel – a huge heavy massive device that spins rapidly – and then when electrical energy is needed, the flywheel is used to run a generator. Flywheels can store surprisingly large amounts of power, and if in a near vacuum and with magnetic bearings, are slow to lose their energy (by ‘slow’ we mean the energy loss rate is acceptable for a device that charges during the day and discharges at night, but not quite so acceptable if you want to be able to store energy for several days). They can provide a reasonably efficient means of storing power. They are also fairly low maintenance, especially if kept in a semi-sealed environment. But they are also large heavy devices, potentially weighing 5 – 10 tons or more, and require very precise balancing and bearings due to the speeds they spin at. Flywheels are best suited for applications that require large amounts of sudden energy and/or applications that have large amounts of energy suddenly surplus. That’s not to say they’re not potentially good for our sorts of applications too, and the good news is that the growth in renewable energy generation is feeding growth in related issues, particularly energy storage. We expect to see small-sized flywheel installations continue to be developed to a point where they may become practical for storing energy for short-term overnight use, but we’ve not encountered a flywheel that is quite ready for prime time just yet, alas, although there are some hopeful developments underway at present. There are many other technologies that are either in a development stage, or which are not suited for our sort of scale of energy storage – for example, compressed air. Storing electricity is a somewhat wasteful and somewhat expensive process, although it could be convincingly argued that having extra spare electricity being unused at certain times of day to also be wasteful too! Some electricity storage is both prudent and essential. The question becomes – how much. First, you need enough to get you through a typical night from when the energy flow from the cells diminishes as the sun gets low until such time as the energy flow restarts when the sun rises the next morning. Second, you need additional ‘spare’ capacity to cover times when the weather is bad, the sky is full of clouds, and the PV cells aren’t generating enough electricity during a normal day to replenish the store for the next night. Indeed, in a worst case scenario, the PV cells might not even provide enough power to cover the normal needs during the day. You can of course control this to a certain extent by increasing the capacity of your bank of solar cells. If you need 20 kWhrs of electricity a day – 10 kWhr for daytime use and 10 kWhr to store for the night, then you’re less likely to run into shortage with a setup that is rated to provide 40 kWhr per typical day than with a setup that is rated to provide only 20 kWhr per typical day. So the greater your surplus during a typical day, the less an amount of reserve storage you need. If even a cloudy day sees your PV installation providing enough power for the day and the night, all you would seem to need is a single night’s worth of power to be stored. We’d still like to increase that capacity to allow for mishaps and emergencies. What happens if something fails in the solar setup and it takes you a day or more to repair/replace it? Also, if you only need to recharge your batteries every other day rather than every day, clearly you’ll get twice the life from them, and if you are normally only discharging your batteries down to 50% full, you’ll again get much longer life than if every night you are discharging them down to 20% full. If you are only using wind power, the first thing we’d recommend would be to rush out and buy some solar cells! Some days there might be no wind, but some sun (and vice versa); by spreading your electricity generation between two different sources, you are reducing your risks and increasing your resilience. Beyond that, it becomes harder to predict how much wind power you can expect. 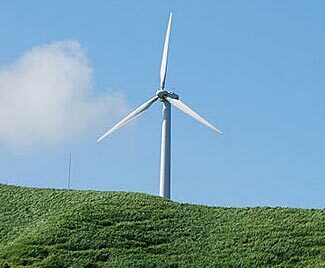 You need to look at detailed wind logs for your location, and approximating the above ground height your turbine will be situated at, so as to get a feeling for average, best case and worst case daily and nightly power generation. Using a process a bit like that we recommend for working out your water needs, you can proceed to calculate some likely pessimistic scenarios about the amount of wind power you might get, and from that, you can then work out how much stored electricity you’ll need. Don’t forget to allow for an unexpected several day outage occurring at exactly the worst possible moment, too! But, wait – before you do these sums, you should first re-examine the question of how much electricity you will need and use, and reduce this amount as much as possible. The next three sections cover this concept. Please now click on to read the final part of this series, ‘Strategies to Reduce Your Need to Store Electricity‘. If you’ve not yet read them, you might also want to read the first two parts of the series too – Storing Electricity and Using Batteries to Store Electricity.